The Yellin Center Blog: When Must School Districts Pay for Evaluations? Parents sometimes ask us if they can have their school district pay for their child's evaluation at The Yellin Center. The simple answer is "maybe, under certain circumstances," and we thought it might be helpful to explain the laws and regulations that govern this area. The Individuals with Disabilities Education Act (IDEA) recognizes that an evaluation of a student in all suspected areas of disability is a crucial first step to determining whether that student is eligible for IDEA services and what kind of services will help that student to succeed in school. In fact, the "clock begins to run" with respect to the time limits set forth in the IDEA only once the parent consents to an evaluation of the student. The law anticipates that the school will then conduct an evaluation of the child and share the results with the parents and the IEP team, the committee that creates the student's Individualized Education Program. In many situations, this works out well for all concerned. The school district conducts an evaluation at no cost to the family; the findings make sense to the parents; the findings are incorporated into the student's IEP; and nothing more needs to be done. However, sometimes families do not agree with the findings of the school district evaluators and feel there may be something more going on with their child. Sometimes parents have had a long history of difficulties with the school and simply do not trust them to do an evaluation. Some parents of children enrolled in a private school do not want to have to work with the local public school district (especially in New York City). And, quite often, parents want the kind of in-depth, multi-disciplinary kind of evaluation done here at The Yellin Center, rather than a more "cookie-cutter" series of tests given by their school's evaluators. In each of these situations, the parents seek an Independent Educational Evaluation (IEE) such as the ones we conduct here at The Yellin Center. Before we look at specific rules and scenarios, we need to emphasize one important point. Parents have the absolute right to have their child independently evaluated and federal law requires that the public school district must consider the results of such evaluation. Dr. Yellin and his team frequently attend IEP meetings (via phone or other technology) to discuss the results of our evaluations and have been universally well-received by schools. However, the law does not require that districts follow the recommendations of our reports (or any outside evaluator). So, when can a parent have a district pay for an IEE? The parent must disagree with the evaluation conducted by the district or consider it inadequate and notify the district of their intention to obtain an IEE. The district must then either file for a due process hearing with a State Hearing Officer or agree to pay for the IEE. The district can set criteria for the IEE's they will fund -- how much they cost, the geographic location of the evaluator(s), and the specific qualifications of the evaluator(s). 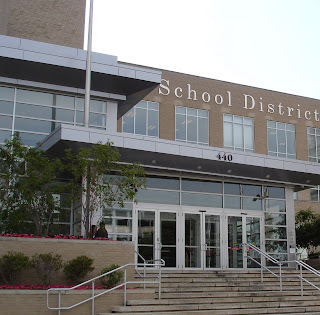 However, the U.S. Department of Education notes that, "the district must allow parents the opportunity to demonstrate that unique circumstances justify an IEE that does not fall within the district's criteria. If an IEE that falls outside the district's criteria is justified by the child's unique circumstances, that IEE must be publicly funded." So, even if your district tells you that you are restricted to using the private evaluators on a list they provide, that is not strictly correct and you can and should push back to obtain the services of the evaluator you choose. An IEE can also be ordered by a State Hearing Officer as part of a due process hearing when aspects of an IEP are in dispute. We also encounter situations where a district paid evaluation at The Yellin Center is part of an ongoing discussion between a family and a school district, especially when the district has not been successful in addressing a child's educational needs. And families need to keep in mind that The Yellin Center has always had a sliding scale for families who need assistance in paying for our services. For New Jersey familes, a memo from the New Jersey Department of Education, with a list of Frequently Asked Questions about IEEs. From the U.S. Department of Education, a memo discussing why districts cannot set absolute cost limits on IEEs and a link to a number of other memos discussing other aspects of the IEE funding process. For a review of court cases that have dealt with the IEE issue, a law review survey of cases by Perry Zirkel.